Hi everyone. Travis here with some quick information about a local resident competing for a prestigious title. 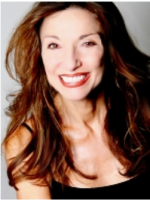 June Kittay is a proud competitor in the 2012 Ms. Florida Senior America Pageant! June will be on the national stage, and so will Tampa Bay, as she moves through the process. A letter form pageant organizers stated that "June has contributed a wealth of knowledge and enhanced and educated her community on topics such as healthy aging, fitness, health, anti-aging medicine and much more. As a firm competitor in the state pageant and an Integrated Fitness Professional, June will dazzle the judges in personal interview, evening wear, philosophy of life and dance as her talent." It continued, "The Ms. Senior America Pageant is the world&apos;s first and foremost pageant to emphasize and give honor to women who have reached the "Age of Elegance." It is a search for the gracious lady who best exemplifies the dignity, maturity and inner beauty of all senior Americans. The Ms. Senior America philosophy is based upon the belief that seniors are the foundation of America, and our most valuable treasure. It is upon their knowledge, experience and resources that the younger generation has the opportunity to build a better society. Locally, June is the CEO of Tampa Bay Bodies, which specializes in healthy aging, where June is an integrated fitness instructor, speaks to groups, run classes and seminars in health and wellness, and much, much more. If you&apos;re looking for more info on June and what she offers, head over to www.junekittay.com. And let&apos;s support her in her quest for Ms. Florida Senior America! We&apos;ll see you all back here for more updates about area residents, as well as details on great things to do in Tampa Bay and Tampa Bay area events!! !